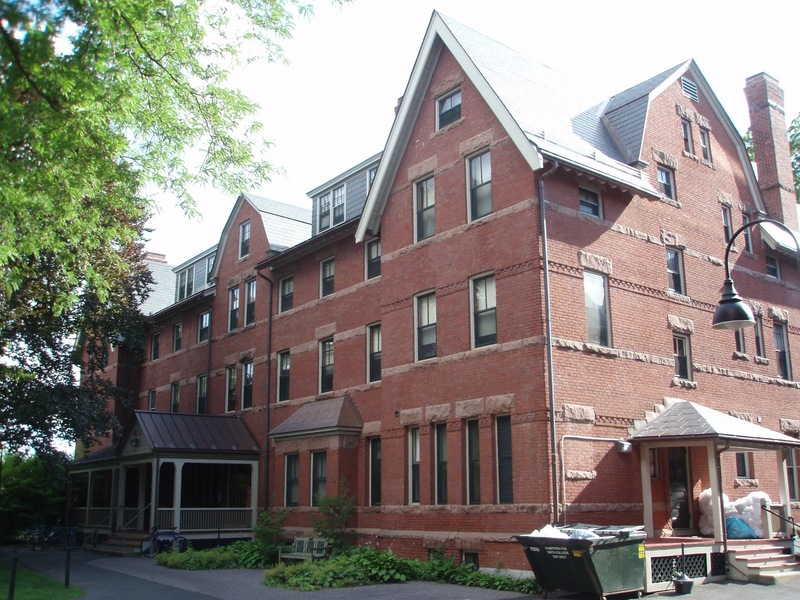 For her third year at Smith College, Sylvia Plath changed houses from Haven to Lawrence. Lawrence House is a co-operative house and residents performed jobs in exchange for a reduced tuition. Plath roomed this year with Mary Bonneville, a senior. 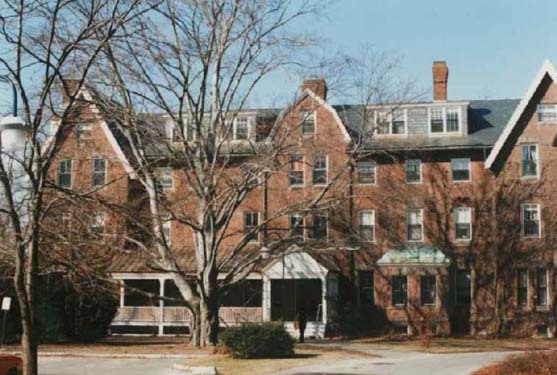 The room numbers have changed, but from descriptions, Plath and Bonneville lived in either room 6 on the second floor or room 24 on the third floor. With a major of English declared, Plath's studies this year were dominated by courses in this subject. She was required to take a Science course and this caused her quite a bit of concern. Plath was heavily involved with Press Board and other extra-curricular activities. During the first semester, her more-or-less steady boyfriend Richard Norton was diagnosed with tuberculosis while a student at Harvard Medical School and was treated at a sanatorium at Ray Brook, New York. Plath's notebooks for Medieval Literature, Milton, Modern Poetry, and Physical Science are held in Plath mss II, Lilly Library. Papers or works created for a course which are held by the Lilly Library and listed in their finding aid have been added beneath the course. English Unit, Medieval Literature: Seminar in Middle English Poetry. Emphasis will be placed on the works of Chaucer, medieval romances, or medieval drama, according to the special needs of the students. Attention will be given not so much to the reading of texts as to problems of research. Mr Howard Rollin Patch. English 39b, Milton: Milton. W Th F 2. Eleanor Terry Lincoln. English 347a, Style and Form: The expression of different kinds of experience. By permission of the instructor. W Th F 2. Mr Robert Gorham Davis. English 347b, Techniques of Fiction and Criticism: Techniques of fiction and criticism with some consideration of poetry and expository form. By permission of the instructor. W Th F 2. Robert Gorham Davis. English 44b, Twentieth Century British Literature: Joyce, Yeats, Eliot: M T W 10. Miss Drew. Her notebook from this course, concentrating on James Joyce, is held by the Lilly Library. See the other posts in the Education of Sylvia Plath series: 1950-1951; 1951-1952; 1954; and 1954-1955. All links accessed 9 August and 7 December 2017.